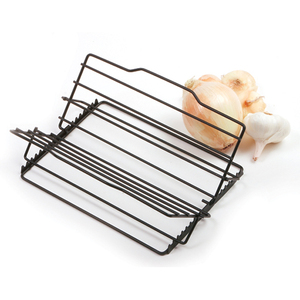 This roasting rack is lightweight and easy to use. Will fit most roasting pans. Measures, 7" x 11"/18cm x 28cm. Adjusts to seven different positions to fit any size bird or roast. Folds flat for compact storage. Nonstick coated. Hand washing recommended.